Grade 4 spondylolisthesis is the most severe manifestation of vertebral migration and is virtually always considered both pathological and symptomatic. 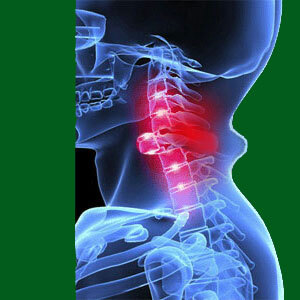 Many people who suffer from grade 4 listhesis are physically limited and some are completely disabled. Strangely, some others are actually incredibly functional and some have no pain whatsoever. Grade 4 listhesis conditions represent a significant threat to health, as well as a factor which dramatically increases the risk of extreme spinal injury. These listhesis diagnoses must be monitored and treated by experts, since one wrong move can cost the patient dire consequences. This dialog provides full coverage of spondylolisthesis issues that have been classified as grade 4. We will explain what this grading actually means, how grade 4 conditions can create symptoms and also provide some treatment guidance for affected patients. What is Grade 4 Spondylolisthesis? Grade 4 listhesis consists of diagnoses where the affected vertebral bone(s) has moved 76% or more out of its typical alignment with the bones above and below it. This represents an extreme migration of a spinal bone and is therefore considered the most significant grading in the diagnostic scale. Technically, grade 4 listhesis should describe vertebral slippage between 76% and 100% migration, which only represents a severity multiplier of 1.32x from the lowest grade 4 to the highest grade 4 classification. It is certainly possible for vertebral bones to migrate past 100% slippage and this condition is most often diagnosed as spondyloptosis. Grade 4 listhesis will almost surely grossly misalign the central spinal canal and foraminal openings. 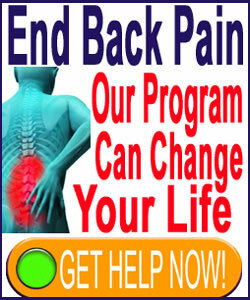 This can directly cause spinal stenosis and pinched nerves. When other spinal abnormalities exist, these stenotic effects can be compounded and multiplied. Since the vertebral bone has moved so far out of normal alignment, virtually all patients will suffer severe facet joint injury, as well as severely damaged spinal discs above and below the affected vertebra. Some patients might also demonstrate ligamentous abnormalities or injuries to the various tissues of the spinal soft tissue anatomy. Since the spinal bones are so out of alignment, the various muscles which help support the backbone and regulate its movement will likely suffer tremendous strain on an ongoing basis. Degenerative effects on the surrounding discs and bones of the spine are likely to be exacerbated and the entire spine might suffer instability to a variable extent. Most patients will suffer back or neck pain as a result of their grade 4 listhesis and may also suffer a range of neurological consequences throughout the body, including sciatica, incontinence, sexual dysfunction and various functional deficits. It is possible for a grade 4 patient to be fully functional and not have pain, but it is a rare occurrence, particularly as the severity of the condition reaches the upper end of the grade 4 rating scale near 100% slippage. Virtually all grade 4 listhesis is considered pathological and often necessitates invasive surgical treatment in the form of multiple level, hardware-assisted spinal fusion. Conservative management of grade 4 conditions might be provided for patients who can not undergo surgical intervention for whatever reason. The goals of this type of nonsurgical care vary, but usually attempt to preserve functionality and prevent neurological injury through activity avoidance and a diversity of physical therapy approaches in some patients.